Why Travel To Other States? Oklahoma has other US cities too! 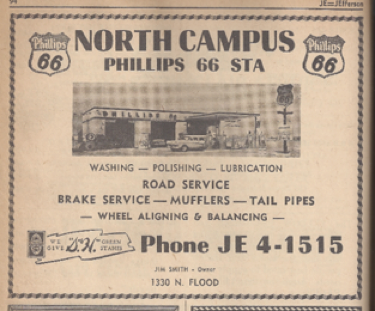 Route 66, America’s most beloved highway, was born right here in Oklahoma. Cyrus Avery, a Tulsa businessman and promoter of good roads, spearheaded the national committee that created the U.S. Highway System in 1926. We were the first state to design and install the distinctive historic markers and we are home to the first state-sponsored Route 66 Museum in the nation. The world's first male Liliger cub was born at a private zoo in Wynnewood, Oklahoma, on May 31, 2014. Liligers are the hybrid offspring of a male lion named Simba and a female liger named Akaria. Oklahoma is the first state to approve gassing prisoners with nitrogen in order to carry out death penalty sentences. The state’s Republican Governor Mary Fallin signed the Oklahoma gassing capital punishment bill into law in 2015. The National Lighter Museum in located in Guthrie and is the only museum of its kind in the world, dedicated to collecting and preserving the history of the evolution of lighters. First established in the 1920s, WKY still broadcasts today in a Spanish-speaking format, retaining its original call letters even though stations west of the Mississippi today begin with the letter “K” rather than “W”. Oklahoma City is also the birthplace for radio legend Ted Quillin, one of the noted “Seven Swingin’ Gentlemen” credited with introducing the Hollywood radio market to rock & roll. This is the very first Sonic Drive-in, which was founded in Shawnee in 1959. 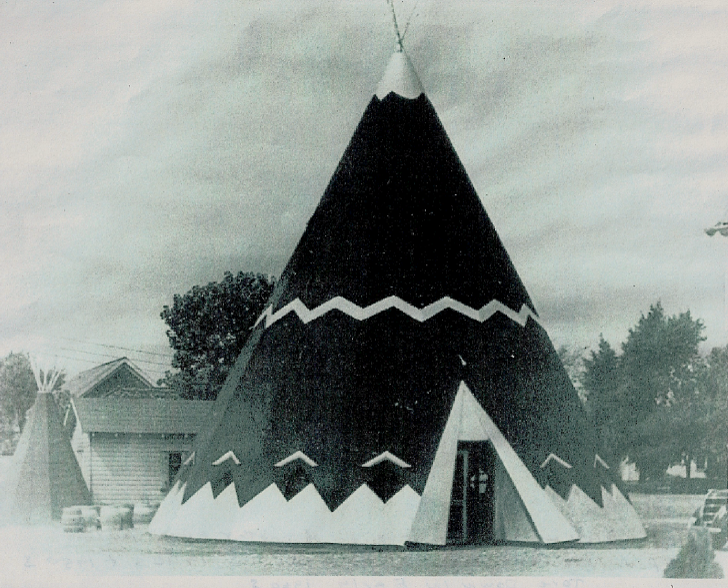 The photo below is of a circa 1960 bar in Norman called the teepee. There are two smaller wooden teepee's to the left and behind the bar which are the bathrooms. They were called the he-pee and the she-pee. This was on Porter across from what is now the Norman Regional Hospital. Did anyone ever go there? If you did, please share your story about this unique bit of Norman history so that we can share it with the club. 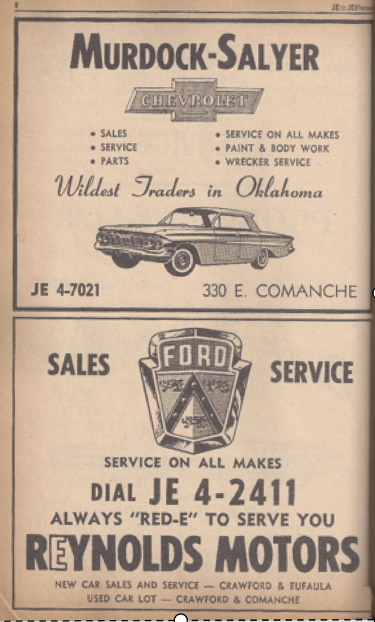 Below are some great old want ads from the Norman telephone directory of the 1960's. 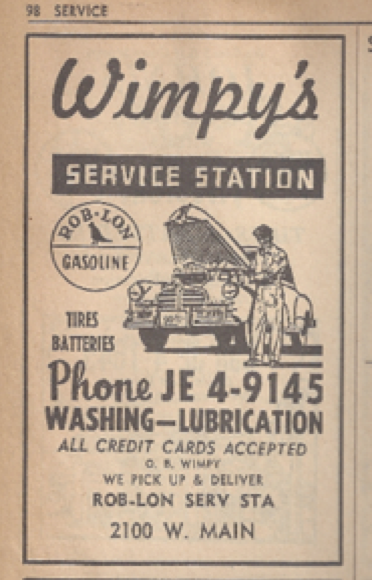 Reynold's Ford still survives to this day. The rest survive as memories. Who doesn’t love a discounted meal or a buy 1 get 1 free deal, but what about a totally free meal? Sounds good, except for the fact that they are massively over-sized, crazy portions that must be completely devoured in a specific time frame. These meals are not for the faint of heart, but if you think you are up for the challenge, here are 7 restaurants in Oklahoma where your meal is free if you can eat it all. Feeling in the mood for a burger? 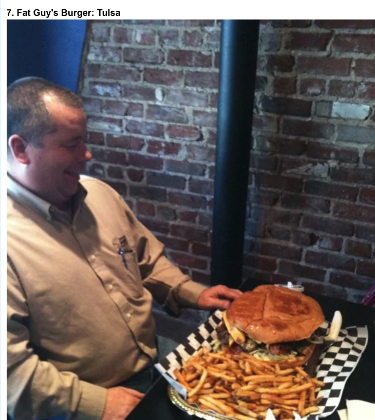 Try Paw Paw's Big Burger (CHICKASHA) Challenge...a 30 minute challenge where the participant must eat a full burger of at least 5 patties or more and it must be finished in under the 30 minutes. If you succeed, your burger is free and you win a free t-shirt. The highest patty count finisher will be placed on the "Burger Challenge Champion" plaque. 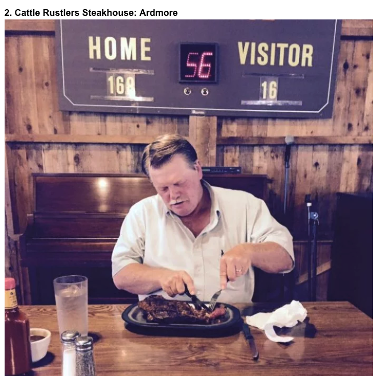 The 80 ounce steak challenge at Cattle Rustler's Steakhouse (ARDMORE) is just as it sounds. You must finish an 80 ounce steak, including all the fat and gristle, in less than an hour. The steak is served “butterflied”, about 13.5″ long by 1.5″ thick. You can't get up from your seat during the hour and you must sit on the stage by yourself. If you win, your steak is free and you get all the bragging rights you want. The Empire Challenge at Papa Angelo's (BETHANY)takes their largest pizza, The Empire, and doubles the 3 toppings of your choice. What you end up with is a giant 6 pound pizza of yumminess. You get 45 minutes to finish the giant. Everyone has good intentions, but if you can't do it, you'll get posted on their Hall of Shame, as well as on their website. Many have tried, but only one person has ever succeeded. 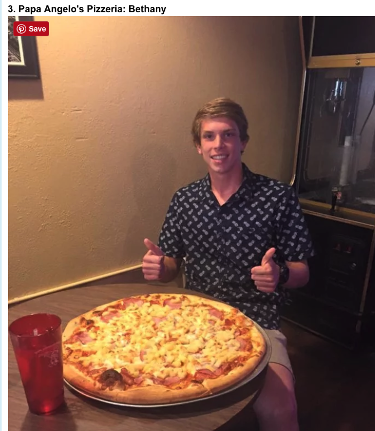 If you can succeed, the pizza is free, you win a free t-shirt and you will not be put to shame. 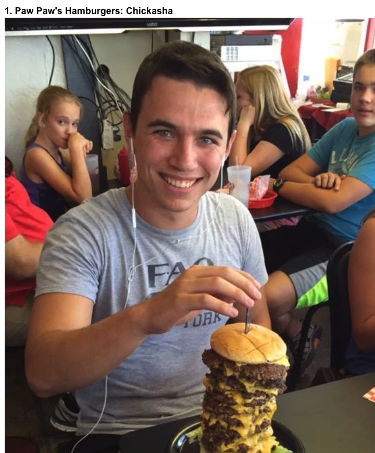 The Six Shooter Challenge Meal (EDMOND)Consists of the 6x Cheeseburger - six 1/2 pound chuck patties, 12 pieces of American cheese, hamburger bun (dressed how you like it), full order of onion rings, full order of curly fries, and a piece of Cow Pie Cake. A soft drink, tea or water is included during the challenge. The meal must be completed in 45 minutes and you must pay $35 for the meal upfront. If you finish every bite, you will be refunded the full price of your meal. 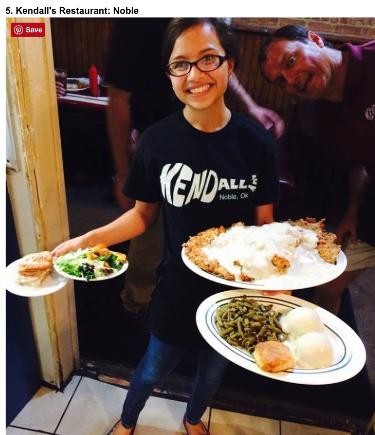 Come and try your hand (and stomach) at the Chicken Fry Challenge at Kendall's (NOBLE). To win a free meal you have to eat the following: salad, huge chicken fried steak, mashed potatoes or fries, green beans, biscuit and cinnamon rolls. The cost to compete is $25. Winners get a t-shirt and a free meal. The Indian Taco (YUKON) Challenge is a massive taco that must be eaten in 1 hour. If you succeed in eating every last bite in under 60 minutes, the meal is free and you win a free t-shirt. Fat Guy’s Burger Bar (TULSA) Challenge is the following: two pound patty, one pound of bacon (15 slices), 2 hot dogs, 8 slices American Cheese, lettuce, tomato, onion, and your choice of condiment. All of this on a one pound bun and don’t forget the one pound of French fries that ALL must be eaten in 60 minutes. If you can clean that platter in less than an hour, your meal is FREE! cRuisers, we are introducing an "ONLY IN OKLAHOMA" page for 2018. This is the first of what we hope will be a monthly article which outlines a few fun things to do, places to eat, cruises to do, etc. We'll probably only do this article monthly, but we will post a note about it on the cRc news page, and provide an easy link to get here.